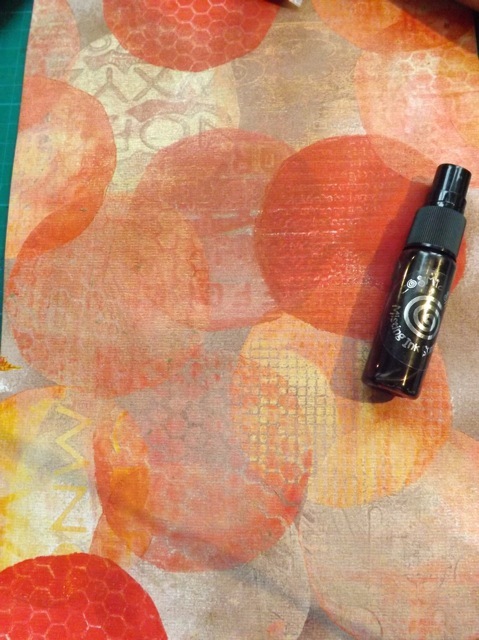 I took the print of layered masked Gelli-print circles that was on my desk yesterday and covered it with the acrylic mists in Brown Spice. That filled in all the gaps of plain paper and even the little bits that were left as plain paper after printing. Using my Stabilo All pencil I carefully outlined the circles, taking care to try to work backwards so the top-layer circle is most completely outlined and the circles “below” it are not, if that makes sense. A whisk of a damp brush brings it all to life. 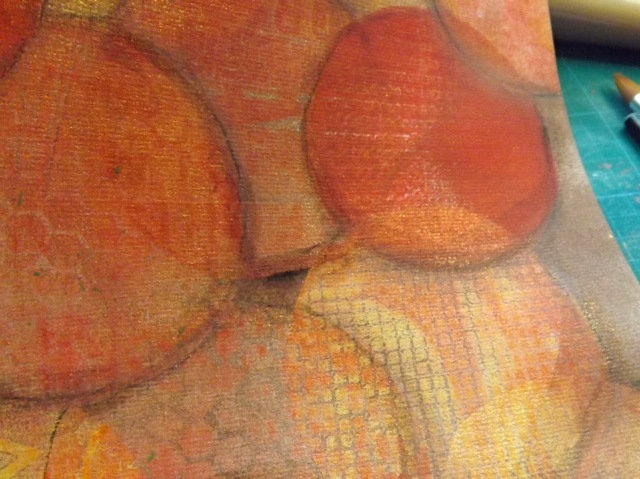 I Gessoed a two-page spread in my AJ and stuck this piece off centre but across the page-divide. 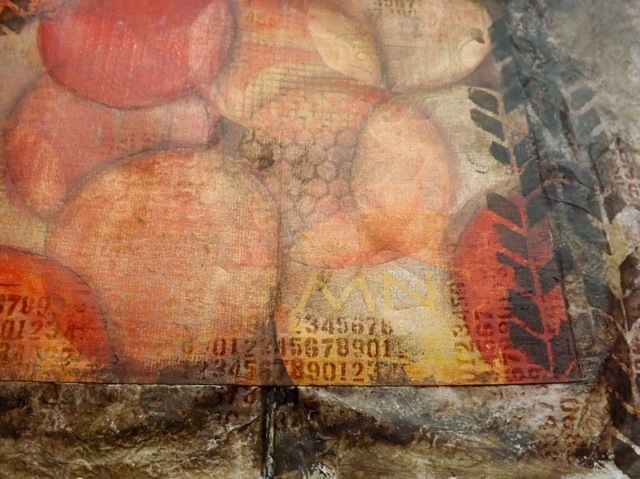 From there is was all layering of stencils. The life of man is a self-evolving circle, which, from a ring imperceptibly small, rushes on all sides outwards to new and larger circles, and that without end. The extent to which this generation of circles, wheel without wheel, will go, depends on the force or truth of the individual soul. I may still opt to add the first part, I’m still undecided! You can see the spatters too – always add them. The very light looking circles are stamped with Silkies and don’t look quite so distinct unless the light catches them at just the right angle – like it did in the photo. I’ll probably add a bit of something over that bit at the top to unify it a bit more too. Probably won’t journal-around-the-edge on this one, although I might use the stuck-on piece as the journal lines. I wonder will it make it seem more a part of the whole or make it stand out more? It’ll depend on whether or not I opt to add the rest of the quote…. 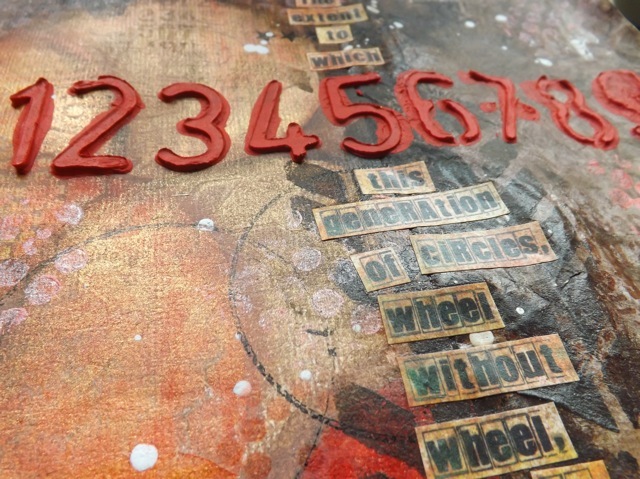 Categories: art journal, Gelli plate monoprints | Tags: art journal, Gelli plate | Permalink. I have truly been enjoying your blog for the last few months since I found it…by accident probably…don’t remember. 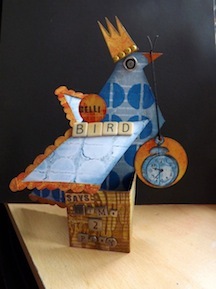 I teach an altered art class at our local art league. You give me such inspiration and fonder for my classes. We seem to work in a similar fashion and I can never impress my students with my organizational skills (lack of). But, to me that is the fun of it. Please don’t make me keep things neat unless it absolutely has to be. 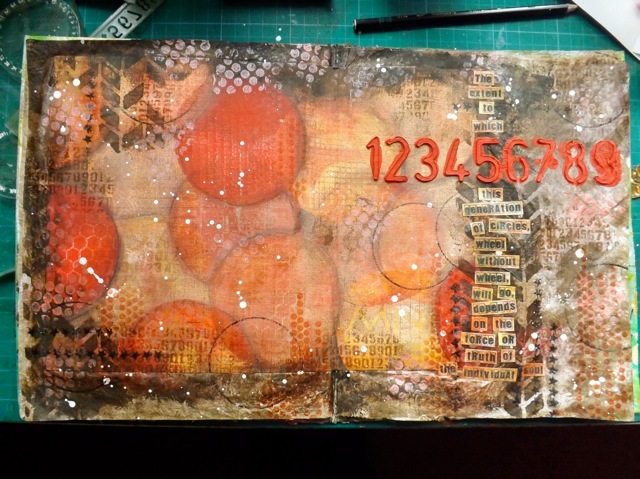 What an art journal spread! The way you worked the circles is magical! Love all those layers and textures! Great spread! I found a face in the last image of your beautiful layered page…upper left, looking down, wearing a checkered bandana. 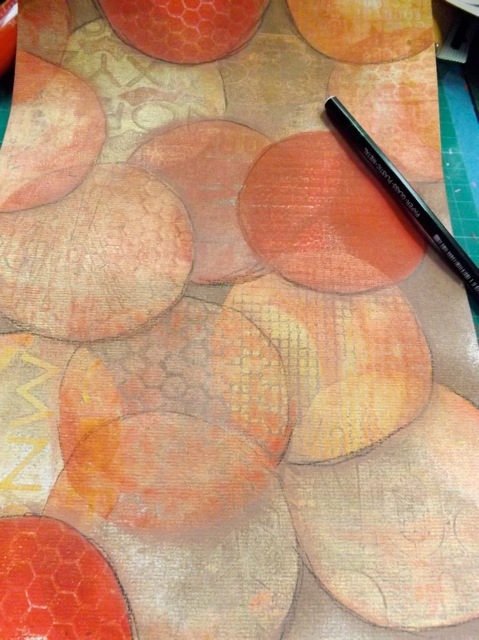 Sure wish I could learn more about Gelli plates and why they seem preferred at times. LOL! I SEE IT TOO now. 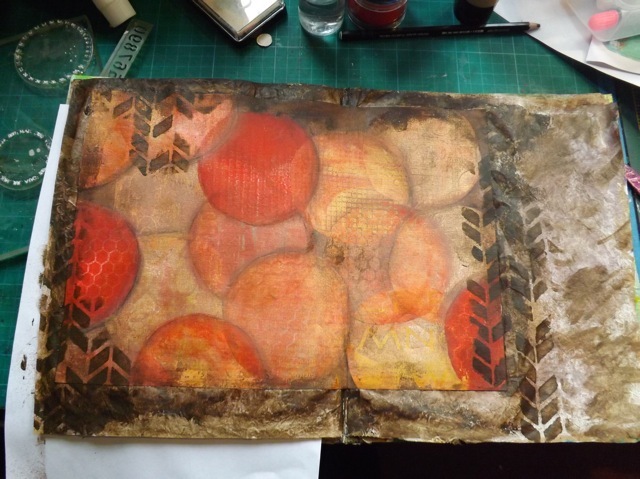 For me the Gelli plate isn’t what is the most interesting thing, although it does make the process SO much easier than making a gelatine plate, – it’s the monoprinting process, the fact you are always surprised, even when you think you are doing “intentional” printing with an aim to get something specific. There are always effects and interactions that you never anticipated – and that makes every session a surprise. looks great! Another time, you could lightly sand the edge of the added piece to thin it out ad make it blend it when it’s glued down. I’m truly impressed with this spread in your journal. What a beautiful way to compliment any page. All the extra touches made this piece go from lovely to over-the-top stunning. Wow love how this has turned out, all the extra touches, brilliant.